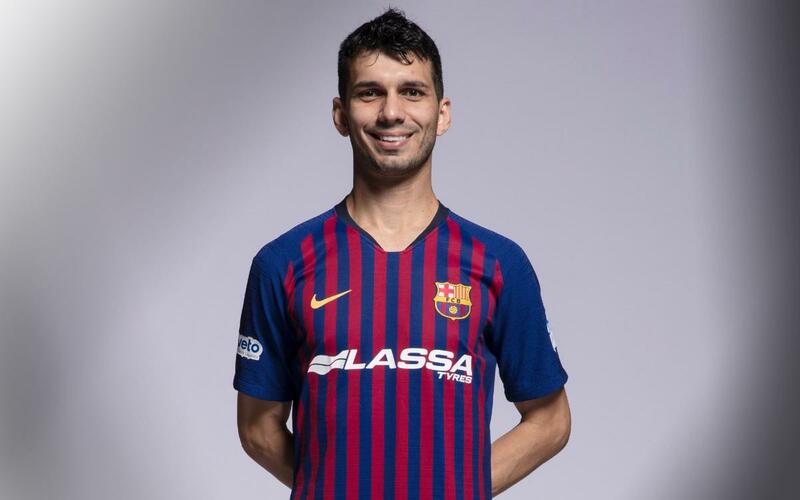 ‘Esquerdinha’ joined FC Barcelona Lassa 2017 in July of 2017. Born in 1985, the Brazilian arrived at the Club from Russian club Dina Moscow where he played between 2012 and 2017. ‘Esquerdinha’ started his career in his native Brazil with Goiás and then Minas. His goals brought him to the attention of the biggest clubs in Europe and a move to ElPozo in 2006 where he featured for their B team in the Second Division of the Spanish Futsal League. After two seasons on loan with Cartagena between 2007 and 2009, he returned to Murcia to feature for the first team. In 2010/11 he spent the season on loan at Caja Segovia and had his breakout season, ending the season with the LNFS award for best winger. The following year he was top scorer with ElPozo in the league with 47 goals. In 2012 the Brazilian accepted an offer from the Russian league and signed for Dina Moscow where he stayed until joining Barça in 2017. ‘Esquerdinha’ can play as a forward or as a winger and is a proven goalscorer as he showed in his previous spell in Spain. Left footed, he is a player who can play in various positions according to the needs of the team. He is good with his back to goal and a great finisher.